* Mac OS X keyboard shortcut problems have been fixed. 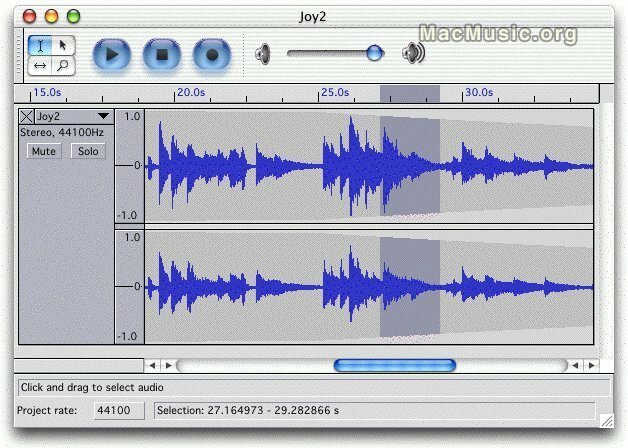 * Mac OS X audio muting problems have been fixed. * Mac OS X playback/recording cursor sync problems have been fixed. * Silence now displays a straight line again, instead of nothing. * Added a vertical ruler to the Waveform dB display. * Fixed crash in Change Pitch. * You can now Paste if nothing is selected. compatible with more MP3 players. * Minor improvements to build system on Unix systems. The users who already use a beta version must upgrade to this one. Jan 4, 2008 Mac & Audacity : end of the story ?